Intelligent assistants are driving things in directions where we would have never perceived they would. These smart assistants, or virtual assistants prove to be valuable, based on their accuracy and unbiased view of the scenarios. Most personal assistants have the capability to compile and bolster up statistics for higher executives, like emails, calendar invites, calendar events, files and enumerate a variety of tasks that need the utmost attention. WebHR has introduced a personal HR assistant, which very smartly becomes a go-to, “smart HR manager” It most likely, is an assistant, that is not just smart but automates daily repetitive tasks, sometimes acting as an HR manager that handles the data management without user induction or interactions, predicting and representing the data as needed. 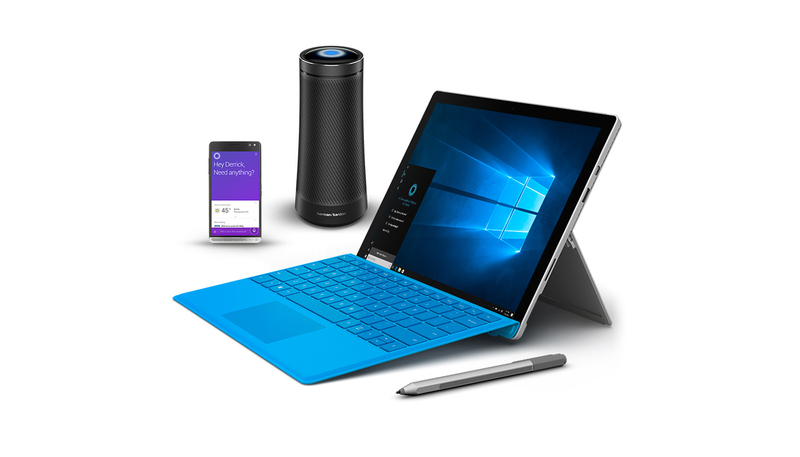 WebHR’s personal assistant can be seen on Amazon’s Alexa, Microsoft’s Cortana and their physical device called “invoke”. WebHR performs different tasks using NLP and understands different users and evolves itself accordingly. its “Conversational UX” uses Bots and AI to simulate a conversation, creating a co-worker or an assistant that deals with your day to day HR related tasks. 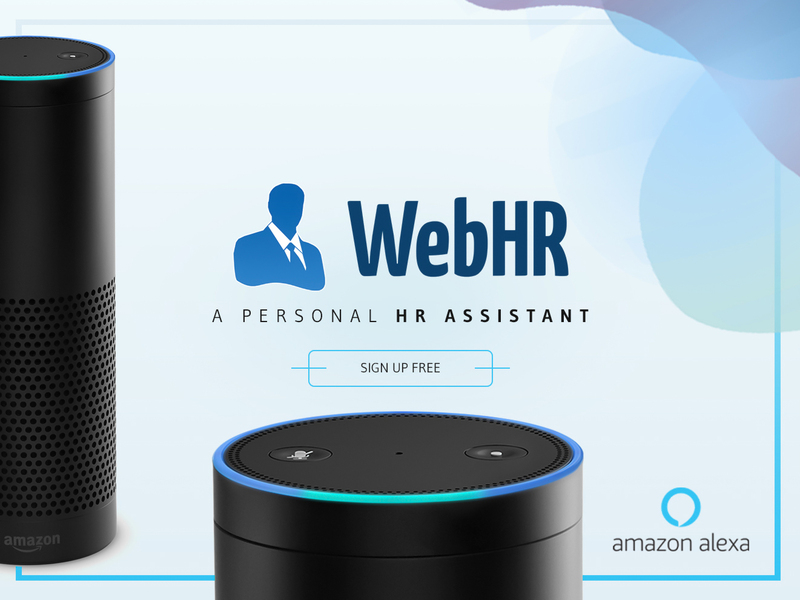 WebHR is merging HR with AI enabled devices, specially “Amazon Echo” using its virtual assistant Alexa, which acts as your personal HR buddy. 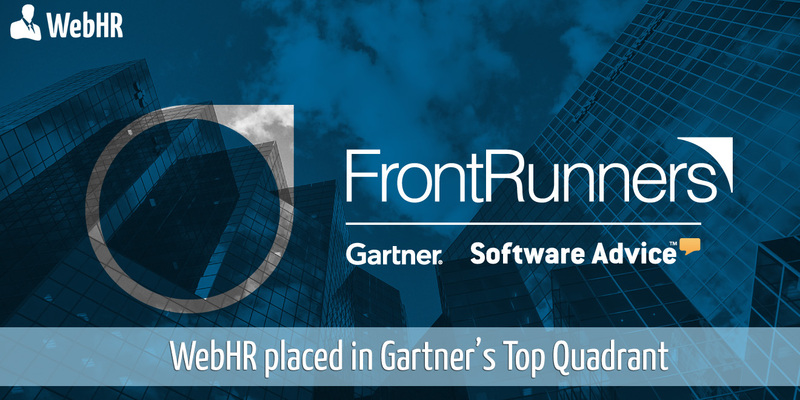 This is the next big thing people have been waiting for, the much needed leap, specifically for start-ups and emerging businesses that cannot afford costly enterprise solutions or large teams to deal with HR. This comes as a sigh of relief not just for them but for large corporations that intend on going futuristic and believe in the 4th industrial revolution, as this helps them work smarter and faster. The future of work has a lot of hype around it but very little is done to show on surface or has any real tangible benefits, WebHR believes in bringing real technology to work tables in offices around the world. This new wave of automation and smart assistants would let your “Amazon Echo” “Microsoft’s invoke” Google’s “Home” or any device to enhance your workplace productivity by minimizing the time required by actual people to do the same task. Leaders with vision and scope to do more, need tools like “WebHR” to empower them and equip them to provide a next-level connectivity to their teams at work. These thought leaders must realize the power to move ahead, step forward and be bold, bring their statements to life and shape up a unified motto of “innovation” and creativity, that sets them apart from the crowd. 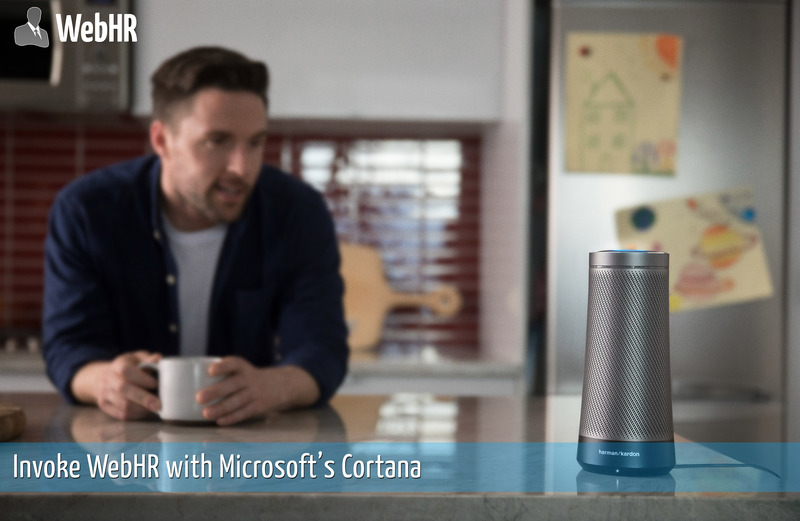 When WebHR interfaces with Alexa, Cortana, home or any other smart device, it becomes the new assistant that not only answers your HR related queries but will also help you with tasks, such as, “Mark my attendance,” “I am going for lunch” “schedule a meeting”, “apply for sick leave”, “email me my pay stub ” etc. So when you implement AI in WebHR you open up a completely new perspective into your HR data by engaging in a conversation and asking for information from the system, such as “How many female employees we have? ” “who is present today?”, “Give me last year’s employee retention rate”, “Give me performance evaluation reports” etc. This hands-free atmosphere gives one a sense of freedom, no screens, no wait periods to extract data and no hassle of switching screens.The top management may immensely benefit by having a quick access to their workforce data by analyzing/crunching key HR matrices such as, employee retention rate, employee turn over, payroll summary, head count (headcount by category, nationality, gender, age range etc). This helps bridge the gap between the management and HR data by allowing rapid reach to important decision making data and reports required to accelerate growth and prosperity of the company. This brings the spark back into your boring HR routines by quitting multiple apps to get your HR related work done, talk to “WebHR’s – Smart Personal HR Assistant” and get what you want in a simple more natural language. 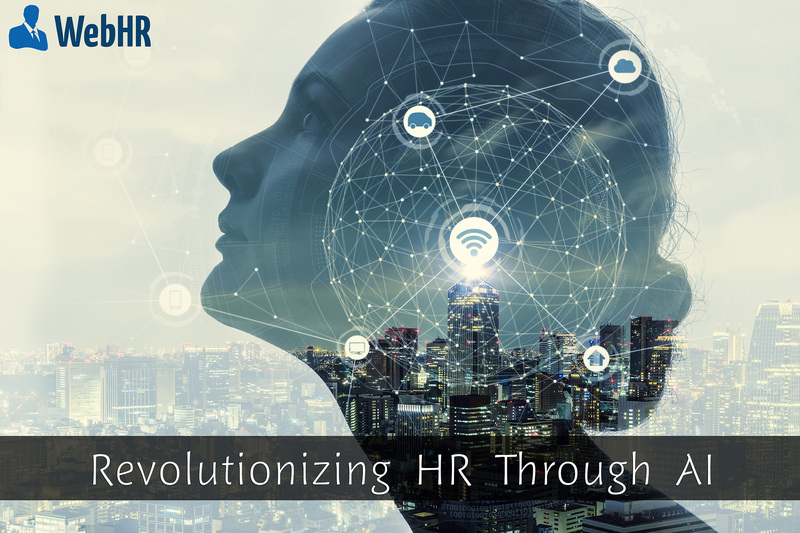 With a continued hype around connectivity of these devices as the trend continues, WebHR surfaces as the first company ever, to have entered and bring a much needed innovation to the HR world. This is a huge untapped potential is an opportunity which a lot of companies are unfortunately missing out on. WebHR’s personal HR assistant will answer queries and perform actions via voice commands using a natural language user interface. Natural Language Processing, can give these smart assistants, a bit of a personality and that is where WebHR is headed towards, an HR manager with an elegant personality, which is a pleasure to work with. Since WebHR supports more than 20 languages, imagine what relief it is going to be on a global scale, when on the far corners of the world where English is not a native language, this provides them a platform of natural communication with their system to get the work done efficiently, without the barriers erected by language. An object placed at every desk, conversing with you in your language and performing tasks, that would otherwise have required a lot of time for completion. Natural language processing (NLP) is the ability to examine vocal input, analyze natural language application , and form voice output, which is the main rationale behind the current digital assistants being referred to as intelligent. 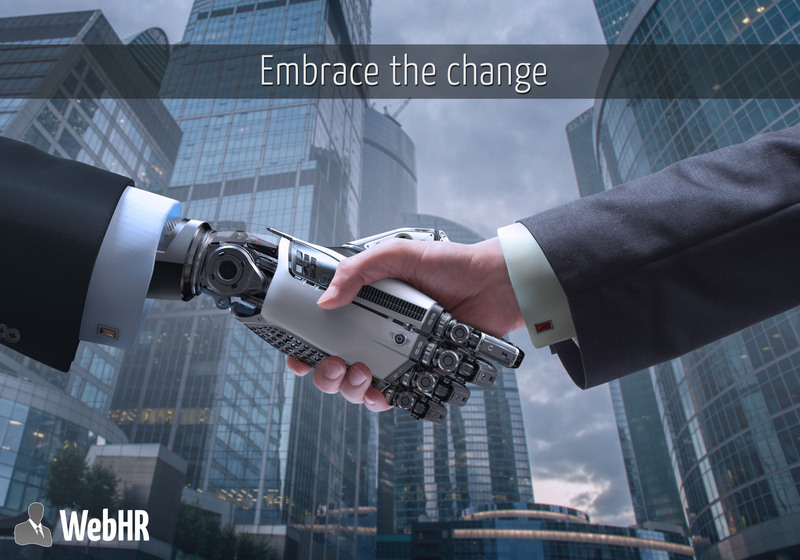 WebHR is an undisputed “pioneer” and has brought disruption to the HR industry because along with its claim of bringing an affordable corporate structured HR service, it is now also the first one to have gone a step further and has introduced HR services, through AI enabled devices. It has unlocked a hidden potential of providing a hands-free work environment which is a bliss for company heads and top managers. With these smart assistants becoming a rage, we must understand that they need to be secure and protected, connected to safe portals for the distribution of data and WebHR understands, that data security is the most important concern, when it comes to big organizations and companies. Algorithmic vision empowered by virtual assistants are considered to be among the major recent technological upgrades and most promising consumer trends. Some visionaries affirm that digital experiences will gain a status-weight comparable to ‘real’ experiences, if not become more sought-after and prized. The trend is verified by a high number of frequent users and the substantial growth of worldwide user numbers of virtual digital assistants. In mid-2017, the number of frequent users of digital virtual assistants is estimated to be around 1bn worldwide. The market for speech recognition technology is predicted to grow at a CAGR of 34.9% globally over the period of 2016 to 2024 and thereby surpass a global market size of USD 7.5 billion by 2024. According to an Ovumstudy, the “native digital assistant installed base” is projected to exceed the world’s population by 2021, with 7.5 billion active voice AI–capable devices. The possibilities of this innovation to spread like fire are immense and WebHR aims on exploring it all. It intends on reducing work overload and intelligently transforms the way we view the data, eliminating the unnecessary details, bringing forth highly customized data analytics designed for workplace optimization. “Winter is coming” – No it’s spring actually, so you can smile! The agonies are finally over, or are they? Coming back to what I want to share with you, if you haven’t had a reality check I want to send you to a verbal intervention, shake you up a bit. If you own a business, buckle up! I want you to rise from your sweet slumbers and witness the global shift in the way businesses work these days. There was a time when big corporations ( the sharks) reaped all the benefits and dominated in every area you can imagine. Fast forward to “today” where we see startups and small companies taking over the world. Something that was unimaginable 10 years ago. Imagine, what your company is doing with 50 employees and the same is done by a 3 employee company, even more efficiently, what would you do? Sears, JC Penny, RadioShack etc these are the outlets we millennials have been visiting since we were small kids, looking at them fading away today just breaks our hearts. After every few decades, there is a paradigm shift, that changes the whole scenario and if you are not fast enough to move to the next paradigm, you will be left out. AI, AR, VR, ML, NLP – Are these all just buzz words? I don’t think so, I think you cannot step into the future without them. If your company does not board this super sonic flight of innovation, it will bite the dust and evaporate eventually. In today’s age if your company is not well equipped with tools of technology, a startup will eat your lunch and eventually replace you.No matter how harsh it sounds, this is the reality. Kind of like what Uber is doing to the Taxis and AirBnB is doing to the hotels. So, what is it that you are missing out on? And what can you do to make sure, your company lives to see another day ? Fifteen years ago, businesses without a website were considered as stone-age companies, of course your business has a website today but does it have a chatbot? Chatbots are a great way to engage with your customers by not hiring, expensive support team. If your business is tied to a building, you should consider going mobile wherever you can. Gone are the days of brick and mortar, lets not forget, that every individual is equipped with state of the art smart phone in their pockets, who wants to have access to your business even when they are pooping! GoToMeeting, Xoom, Skype, Hangouts, etc these are some of the ways we are suppose to meet people these days, rather than flying or driving – That’s so yesterday ! Technology has made communication so fast and efficient that you can have a meeting with a prospect client based in Japan at 9:30 am and with another client in San Francisco at 10:00 am. I met a few people probably in their 60s last month and they were constantly flying back and forth to meet their clients, result? They were out of business soon! I say cut the cost and cut the crap! Think of cost cutting, a drone can bring versus the delivery guy. I feel sorry for all the jobs that technology will cut – but this is unavoidable! Time and again we have seen and witnessed the downfall of large corporations with more employees than some countries in this world, some of them just hiring to look bigger and the rest to burn the cash they got from making a fool out of wealthy people. The amount of pain and agony that some very dedicated teams have to go through, when the companies realize that they don’t have enough to have such large teams and begin their process of downsizing. The anger and resentment is just part and parcel of those procedures. Every industry is taking enormous advantage of automation revolution. Why should the small and medium companies be left out? If I must say, this is your chance to compete directly with the big bosses or the large enterprises. Regardless of what industry you are in, you can make a huge impact and set the sails of success in the right direction. This is when you define the character of your company by displaying the kind of ambitions and motto you follow. Be a champion by embracing the innovation and the boon of triumph will be served to you in the golden platter. Technology is the only enabler that has brought everyone on the same page. Today any small or a medium company can buy sophisticated software, that were only affordable by large enterprises few years ago. Software as a service ( SaaS ) is becoming the de facto or mainstream choice for the companies, to acquire all of the latest tools at the fraction of a price.